he will not turn from it." 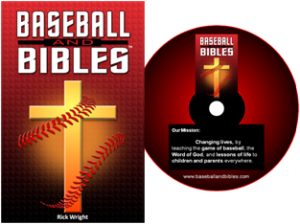 Baseball and Bibles Foundation, Inc. is a Texas-based non-profit corporation that is currently in the process of applying for non-profit status under IRC Section 501(c)3. Also includes an overview of the Bible, and Life Lessons that link Bible verses and Bible characters with lessons learned from the game. 2. 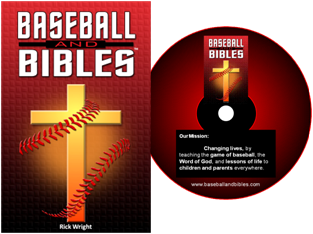 Clinics – Three to four-hour events, hosted by youth leagues and/or churches, where we teach the kids and their parents the fundamental skills of the game of baseball, introduce them to / deepen their familiarity with the Word of God, and talk about Lessons of Life. 3. Camps – Three, four, or five half-day sessions, presented by youth organizations, churches, and/or corporations, where we build upon everything that is part of ourbook, clinics and DVD. 4. Ongoing email contact with players (through their parent’s email address) after they have attended our clinics and camps. 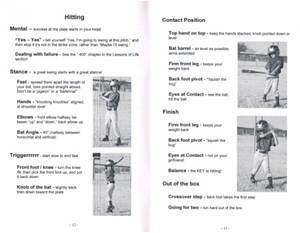 We’re currently looking for instructors to become certified in our curriculum andhelp us spread Baseball and Bibles throughout the world. For additional information, please complete the Contact Us page.